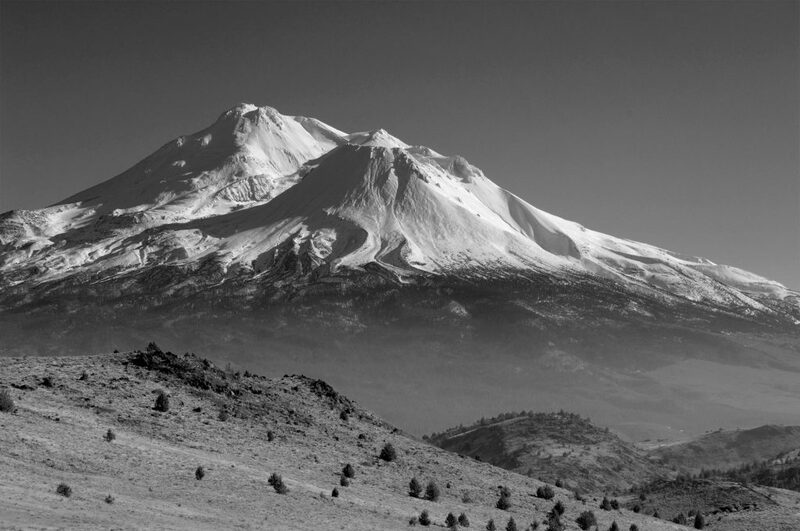 Mt Shasta, California (Photo: Hamish Reid). Black Butte, from Mt Shasta, California. 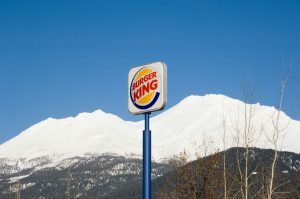 Why go to the Mt Shasta area? Because there’s a 14,000+ foot (4,300 metre) snow-capped volcano sticking straight up out of the surrounding landscape, that’s why! Because there’s a bunch of other, lesser, peaks (like Black Butte, right) all around it that in most other places would be the main attraction. Because the entire area is photogenic and scenic in a way that’s quite different from much of the rest of California. Because you can hike, climb, swim, ski (downhill or cross-country), skate, drive, camp, or just laze around there on or around the mountain. Because this is a part of California that even many Californians don’t know much about. 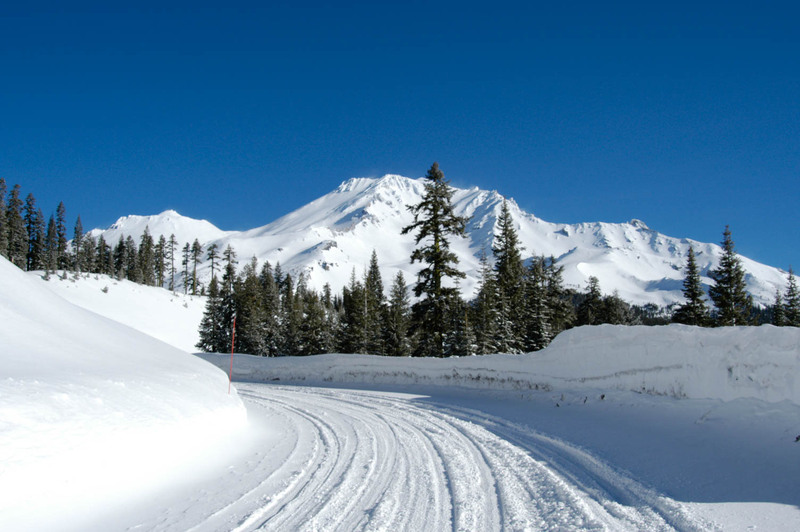 You really can’t go wrong in the Mt Shasta area if you’ve got a couple of days to spare. It doesn’t matter what time of the year you go there, there’s a lot to do and see; and since so few people seem to know about it, it’s rarely crowded. Plus it’s fairly easy to get to from San Francisco, even though it’s definitely not a day trip from there. Note: according to the Mt Shasta Wikipedia page, “the United States Geological Survey considers Mount Shasta a dormant volcano that will likely erupt in the future and rates it as a very high threat volcano”. Having said that, the same page seems to suggest it probably won’t erupt any time in the next hundred years. You have been warned…. Note: I assume you’re familiar with outdoor safety if you intend hiking in the Mt Shasta area. There are bears, snakes, and mountain lions (at least) in this part of the world, and some seriously bad weather in winter, so do some research before you leave your car to go hiking, climbing, or back-country skiing! Note: all photos on this page © Hamish Reid. It will take you about four and a half hours to drive to Mt Shasta from San Francisco (depending on the traffic), and a lot longer from L.A., so this is not really a day trip (not even from Sacramento). From the San Francisco Bay Area, the easiest way to get there is by taking Interstate 80 to Interstate 505 (at Vacaville), which takes you straight to Interstate 5; then drive straight up Interstate 5 to the town of Mt Shasta. Take the W. Lake Street exit (exit 738), and there you are — the town’s right next to the freeway. Directions from LA and Sacramento are similarly straightforward: basically, get on Interstate 5 North from wherever you are and keep driving north up I-5 until you get there. In all cases, it’s an easy, straightforward freeway drive pretty much all the way, but traffic can get annoying. If it’s winter or early Spring, and you’re driving, there’s a chance you may need snow chains from about Redding northwards here and there on I-5, so either bring some with you, or be prepared to rent or buy them up there. I’ve never needed to use them (I have a Subaru), but I always carry them. Alternatively, you could fly to Redding (on United Express) and rent a car at the airport (driving up Interstate 5 to Mt Shasta), but this is expensive, and probably only makes sense if you’re coming from a long way out of state. 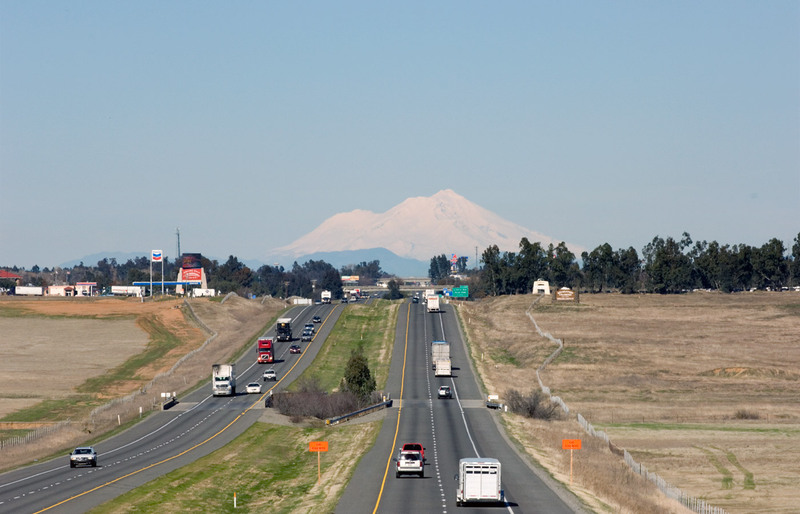 Note: if you drive up Interstate 5, on a clear day you can start seeing Mt Shasta dead ahead of you from before Orland, i.e. more than a hundred miles away. It starts appearing as a smudge on the horizon, then grows into what looks like a cloud; for a while you don’t realise what it is you’re seeing. Then it becomes a little more obvious…. I don’t usually recommend hotels, but in this case I do recommend the wonderful Tree House Inn in the town of Mt Shasta, a Best Western that’s more like a resort hotel than a typical roadside Best Western (no, they don’t pay me to say this). I try to stay there pretty much every time I go to Mt Shasta, but I’ve also stayed in Yreka or Redding when the Tree House was full — the drive to and from Mt Shasta from either place each day is bearable. Dunsmuir is also an option, much closer to Mt Shasta than Redding or Yreka, but I don’t have any experience with staying there. There are also campgrounds at places like Castle Crags State Park (fairly close to Mt Shasta) and elsewhere in the area, but I don’t have any experience with them either. Mt Shasta has at least a couple of supermarkets — one of them, Ray’s, is right near the Tree House Inn — and there’s a handful of cafes and restaurants in Mt Shasta within easy walking distance of the Tree House, but don’t expect hipster food or too many gourmet options. The Fifth Season, on the corner of Mt Shasta Boulevard and Lake Street, has boots, skis, clothes, etc., for sale, plus some gear rentals as well. 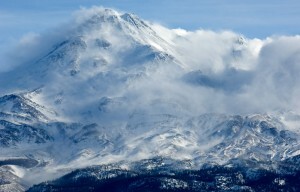 Winter Storm On Mount Shasta. Yes, you can climb Mt Shasta if you want. It’s quite possible with a lot of effort, and people do it all the time from Bunny Flat or Panther Meadows (usually as a strenuous single day climb), but I’ll leave that to others and concentrate here on the sort of things you might want to do that don’t involve getting up before dawn, or getting altitude sickness, or freezing half to death in a blizzard at 14,000′, or donning crampons and using ice picks, or dodging avalanches, etc. And there’s way too much to do in just a few days; the selection below leaves out whole swathes of things like downhill skiing, or hot tubbing, or fishing, or visiting the town of Weed, or climbing Mt Eddy, etc., because there’s only so much I can describe here. Heading up the Everitt Memorial Highway after a snowfall. If you do nothing else while in the Mt Shasta area, this is the one to do. It’s the main drive up and around Mt Shasta itself, and terminates nearly 7,000 feet up the side of the mountain at Bunny Flat in winter, and continues on higher up to Panther Meadows when the snow’s been cleared in summer. Bunny Flat and Panther Meadows are the main trailheads for climbing the mountain itself or for hiking, cross-country skiing, sledding, or snowshoeing, and both have great views of the mountain and surrounding areas. 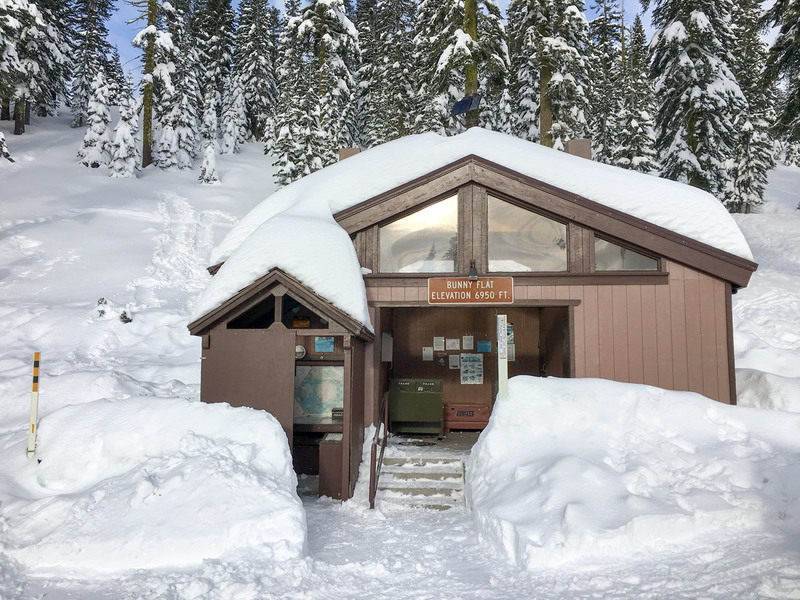 One of my favourite short hikes or snowshoe / cross-country ski trips is the short(ish) trail from Bunny Flat up to the Sierra Club Hut; another fave is the wintertime cross-country ski up the (closed-to-traffic) road from Bunny Flat to Panther Meadows (and beyond, if you’re up for that). As for hiking options and recommendations, I’ll let the excellent Hike Mt Shasta site do the talking for me here. And having said all that, even if all you do is drive up to Bunny Flat and get out and stroll around for a few minutes, it’s worth it — you absolutely do not need to do strenuous outdoor activities here to enjoy the place. To get there, head east on Lake Street through town across Mt Shasta Boulevard (the main drag) until it veers left into Washington Drive, then follow this road (which becomes Everitt Memorial Highway after about a block or two) all the way to Bunny Flat or Panther Meadows. It’s a properly surfaced and sealed two-lane road all the way to the end, but in winter you may need snow chains to get to Bunny Flat. The parking lot at Bunny Flat also gets crowded on weekends, especially during winter. Note: as you drive up the highway from town to Bunny Flat, you’ll see all sorts of side trails and areas to pull over and explore. Do it! is all I’ll say…. Black Butte from the Everitt Memorial Highway. Black Butte is sort of Shasta’s little brother; it’s actually an impressive mountain in its own right, a conical volcanic lava dome rising up right next to Interstate 5 and the town of Mt Shasta. In many ways it’s just as visually dominating as its big sister from ground level around town, and if you’re not up to climbing the main Mt Shasta peak, Black Butte’s an inviting alternative. The climb is relatively easy, and there’s an obvious, well-maintained hiking path nearly all the way to the top. It takes maybe an hour to get to the top, possibly more, depending on how fit you are. In the last few years the path has started to sort of peter out near the top, but it’s still fairly easy to get right to the top without a lot of effort, at least in summer (it may be completely covered in snow in winter). The view from the top is predictably wonderful, with Shasta and Shastina dominating the view towards the east. In summer it gets hot and dry on the way up, and once you’re on the trail above the tree line, there’s no water, and not much shade. And you really (really) don’t want to be on the top of Black Butte in a summer thunderstorm. 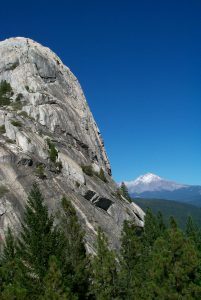 As you drive north up Interstate 5 to get to Mt Shasta, you might see a set of rocks and peaks rising up to maybe 6,000′ off to your left before you get to Dunsmuir. That’s Castle Crags. 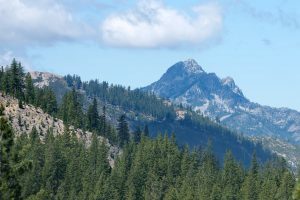 Castle Crags State Park is a great place for hiking; I try to hike up to Castle Dome at least once a year — it’s a relatively straightforward one hour hike up through varied environments (forests, bare rocks, etc. 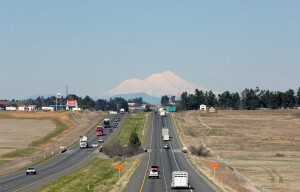 ), with great views of Mt Shasta and the surrounding mountains and valleys. It’s worth a day (or half-day) side excursion from Mt Shasta if you’re staying in the area, even if you’re not camping there. It’s also probably a good place to camp for a while if you want to camp in the Shasta area, but I have no direct experience of that. There are some technical climbs on or around Castle Dome itself, but I’m not the person to ask about that sort of thing. 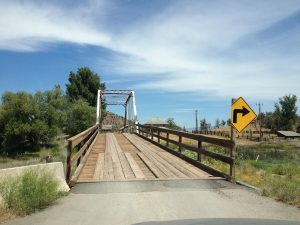 To get there, take Exit 724 (Castella) off Interstate 5 and head west on Castle Creek Road; the entrance to the park is maybe a mile along Castle Creek Rd on your right. Either park near the entrance station there, or go on up to the trail head parking, which often fills up (meaning you just go back to the main parking lot instead). And note that you must pay a (small) fee and fill out a permit form at the entrance station, even though there’s often no one there to enforce this. As the official web site says, “Summer and spring are warm; fall and winter can be cool. 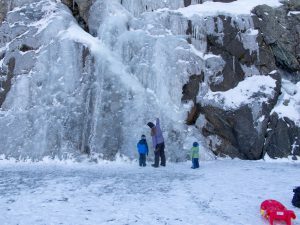 Layered clothing is advised.” Indeed so — in my experience, at the top of the main trail, fall and winter can be cold. Castle Lake (no relation) is a beautiful small mountain lake or tarn nestled in the Trinities just west of the town of Mt Shasta. In winter the lake freezes over, and I’ve skated on it (and had an impromptu ice hockey game) and walked across it (there’s a really cool frozen waterfall on the other side), and watched an ice fishermen cutting holes in the ice. But be careful before you go out onto the ice — it may not be as thick or as strong as you think it is. 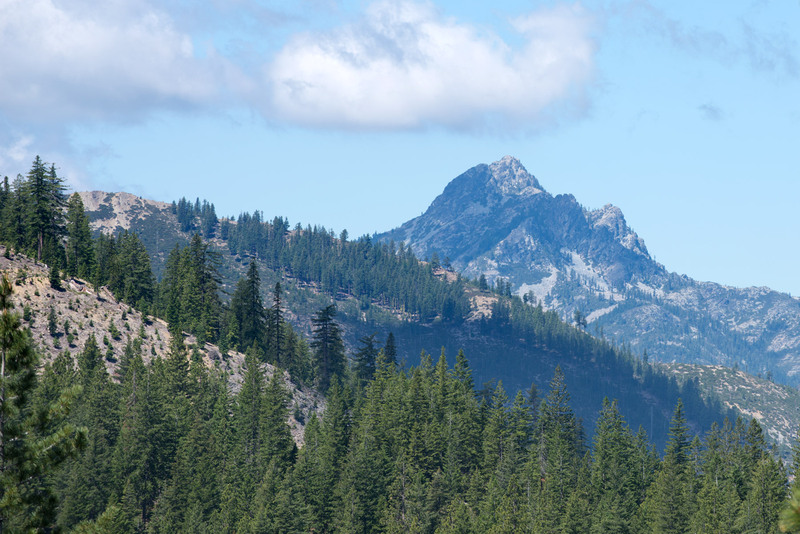 In summer it’s a nice place to stroll around or to use as a trailhead for a longer hike towards Castle Crags or just along some of the ridges to the south and west (but be on the lookout for bears when you hike up out of the lake). You can spend just a few minutes here gazing at the lake, or you can do long day hikes from it, or you can do something somewhere in between — an hour or two’s hiking followed by a picnic (but think: bears! again…). Well worth the (easy) drive. Castle Lake is easy to get to — follow the directions in this Google map link. The parking lot at the lake can get full, but it’s not usually particularly crowded. 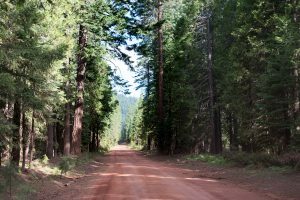 There are a lot of choices for back country driving around Mt Shasta if you want to do that sort of thing (it’s one of the main reasons I go there); I’ll describe two of my favourites here. Neither of these drives really requires a 4WD vehicle, but, as always, be prepared — some of the roads are just well-maintained dirt tracks, sometimes they’re covered in snow or ice (or washed away completely), and back country roads around here are not always reliably signed or shown on maps (understatement). And some of these roads are out in the wilderness, so take the usual precautions for wildlife and weather. 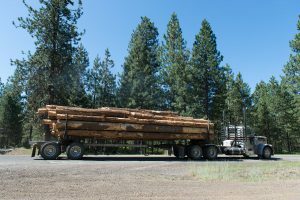 And note that you may or may not be irritated (or maybe horrified) on some of these drives (and many such drives around this area) by what the logging industry has done to some of the forests. It’s a controversial topic, is all I’ll say…. A view from Ramshorn Road. One of my favourite day drives is through the Trinities on Castle Creek Road and Ramshorn Road to State Route 3. You won’t be able to do this drive in the winter or early spring (the road’s closed by snow), but at other times it’s a nice winding drive on sealed and dirt roads through forests and valleys and next to creeks and small rivers, with views of mountain peaks off in the distance or close by. It’s not a long drive — you can do it in a few hours if you don’t stop and look around — but for me part of the point of a drive like this is to stop, linger, look around, etc., so I usually budget most of a day for it. The first two-thirds of this drive are fairly straightforward, but the last third requires you to pay attention to navigation (but if the road gets too rough for you, you can always just turn around and drive back the way you came, of course). A good iPad GPS topo maps app, or the paper equivalents, are really useful here — Google maps shows Ramshorn Road but (at least currently) it leaves out the interesting bits that determine whether you come down to State Route 3 on a reasonable dirt road or down a 4WD track. East Fork, Trinity River (Ramshorn Rd). To get there, follow the directions above for Castle Crags, then instead of turning right into the Castle Crags State Park entrance, just keep driving along Castle Creek Road until you cross Castle Creek on a small bridge and start going up hill. That’s where the adventure begins… I would only do this drive in a car or pickup with sturdy suspension, good tires, and a reliable engine, since parts of the road can get rough; 4WD is definitely a plus on parts of this drive, but I’ve easily done it in a Honda Accord. Once you get to State Route 3, you can take the Gazelle Callahan Road (a sealed two-lane black top) back across the hills to Gazelle and then Interstate 5 southbound to get back to Mt Shasta, or you can keep driving north up SR 3 to Etna, Fort Jones, and Yreka, then Interstate 5 again. Both options are scenic easy drives that are worth taking slowly. Another favourite drive of mine, involving varied landscapes, settlements, and roads, takes you on a broad circle around Mt Shasta (the mountain); there are numerous places to stop and take photos or stroll around or just take it all in along this route. 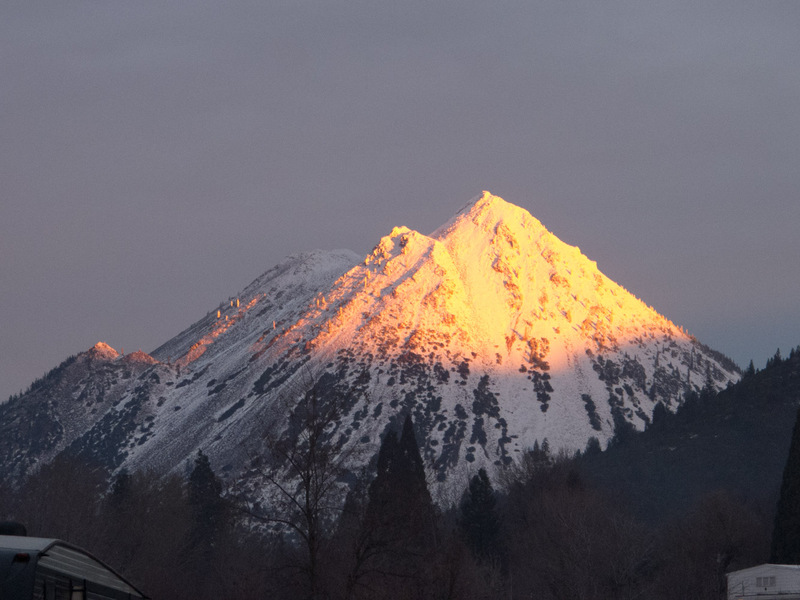 It takes a few hours (it’s not a full day trip), and starts and ends in the town of Mt Shasta. 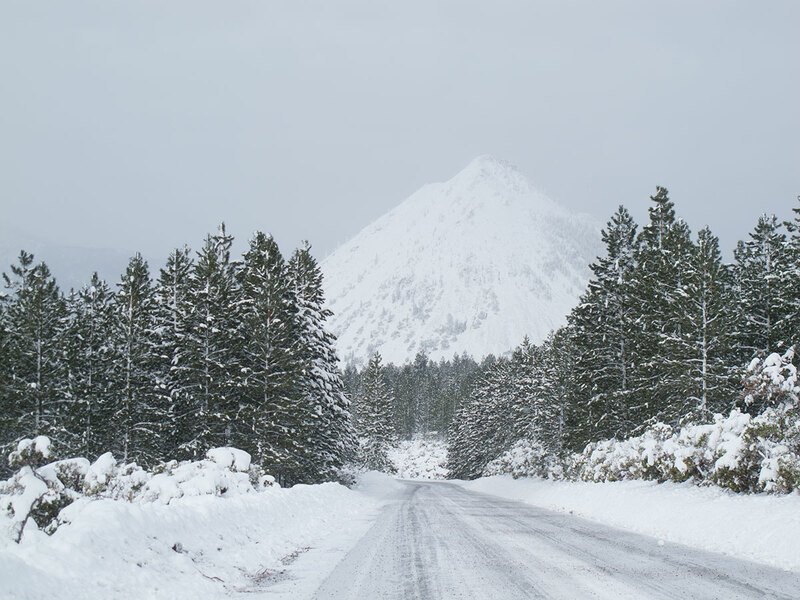 Start by getting on Interstate 5 southbound at Mt Shasta, and take Highway 89 eastbound towards McCloud, go through McCloud a mile or two, and turn left on to Pilgrim Creek Road. (Diversion: turn right there (instead of left) and spend some time exploring the McCloud river and falls in that direction). Follow Pilgrim Creek Road, which is Forest Route 13, through the forest to Military Pass Road (FR19, also FR 42N12 towards the top end); veer left onto Military Pass Road after several miles. This part of the route (Forest Routes 13 and 19) are depicted on this Google map link. 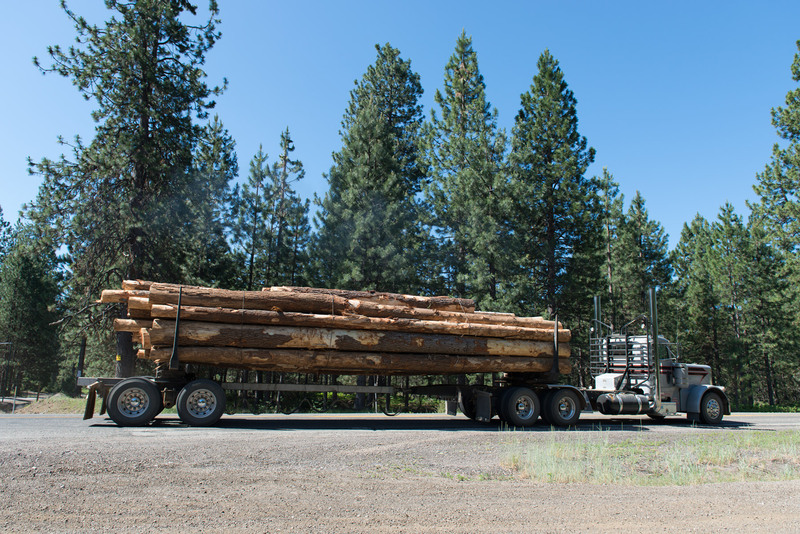 While on both FR 13 and FR 19, be on a good lookout for logging trucks, which are numerous, heavy, fast, and part of the wildlife around here. Keep driving along Forest Route 19, which eventually becomes Deer Mountain Road, and then ends at US Highway 97. There will be plenty of places along these forest routes to stop and take photos or have a picnic lunch, etc. (but bears!). 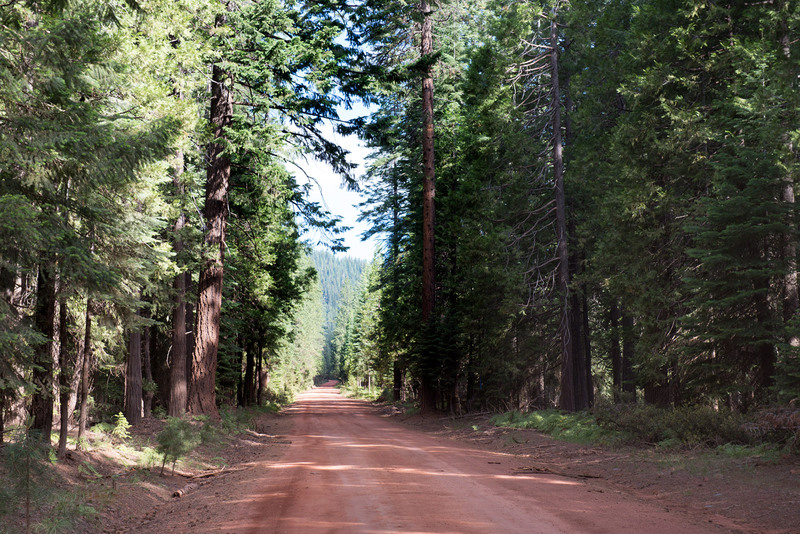 Neither forest route requires 4WD under normal circumstances, but they’re both fairly remote, so make sure your car is in good condition and you have gas and water, etc. Parts of these forest roads will be impassible in the dead of winter due to snow, but you can do most of it without much trouble at any time of the year. Once at Highway 97, turn left, and drive southwest on 97 for a couple of miles, then turn right onto county route A12 (the 99-97 cutoff). 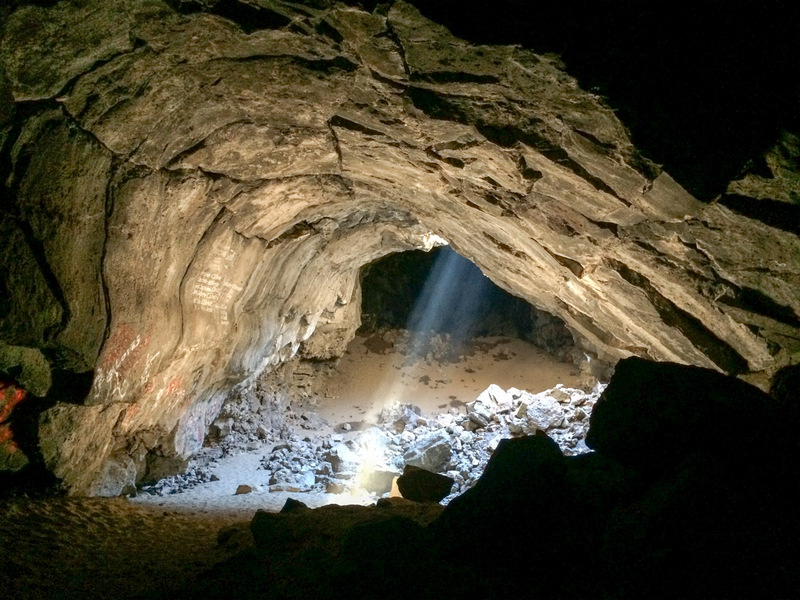 Drive up A12 for a few miles until you get to Harry Cash Road (diversion: visit Pluto’s cave — see below). Go up Harry Cash Road for a bunch of miles until you have to turn left into Lower Little Shasta Road. A short distance on your left (just around Soule Lane) is a rather cute little church next to the road; if you can’t make a decent photo of it and Mt Shasta behind it with a long lens, well, it usually means the weather’s terrible and you can’t see Mt Shasta :-). Keep on Lower Little Shasta for a while, then turn left onto Big Springs Road; follow Big Springs Road through numerous turns, etc., to East Louie Road, which involves crossing the same A12 as you were on before (but further east than you were). Since this part is also confusing, here’s a link to a Google map with the route outlined. Turn right onto East Louie Road and take East Louie west nearly all the way to Interstate 5. Along East Louie you’ll get a bunch of excellent views of Mt Shasta, you’ll cross one of my favourite bridges, and you’ll drive through an often water-logged high country landscape with lava outcrops everywhere. Just before you get to I-5, turn left onto Slough Road, the little dirt road that features in so many of my photos of Mt Shasta (the photo heading up this page is a typical example of what you can usually see from Slough Road). Follow Slough Road south until you get to Weed Airport Road / Edgewood Road, turn right, and get on to Interstate 5 South. And that’s basically it, although there are dozens of alternatives to each segment of this drive. 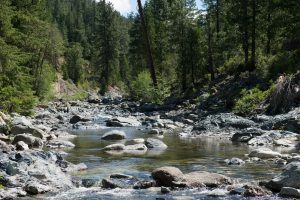 There are, of course, many (many) more back country and other drives in the area, but I’ll let you discover them on your own. This one’s definitely not for everyone — unless you’re comfortable with being on your own in total darkness and being surrounded by a long dark cave in its natural state. But it’s got some beautiful rock formations, and it’s an unusual sort of adventure. It’s a lava tube cave; it extends horizontally quite a long way under the ground (maybe 1,000 feet / 300 metres); there are no concessions to safety at all; there are no guides, human or otherwise (and no guide rails, for that matter); there’s no artificial lighting; and it’s pitch black (and very, very quiet) once you leave the bits near the entrance. Having said that, for the most part this isn’t a serious caving challenge — it’s just that it’s not Jenolan Caves or Shasta Caverns (below), either. Just don’t go far into the cave without multiple flashlights (torches)! You can get there by driving north on Interstate 5 out of Mt Shasta (the town) to Weed, then taking Highway 97 east to county highway A12 (the Highway 99 Cutoff); the entrance to the Pluto’s Cave parking area is down the dirt track to your left about a mile or two down Highway 97. Here’s a link to a Google maps version of the area with Pluto’s Cave highlighted on it: https://goo.gl/maps/vt3bNpKZo5D2. There’s a handful of places that aren’t strictly in the Mt Shasta area itself, but that you might want to visit on the way there or back. All of these are easy to get to from Interstate 5. Calatrava’s Sundial Bridge is a pedestrian bridge that spans the Sacramento River in Redding’s Turtle Bay. 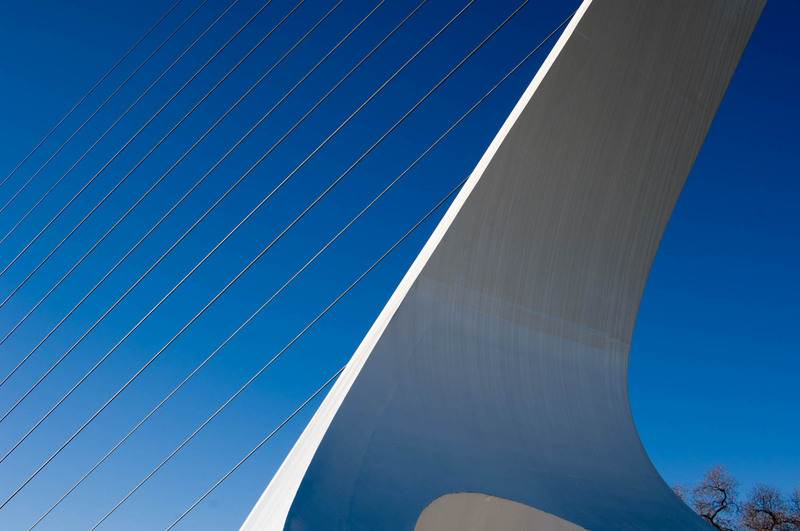 It’s a striking piece of architecture that works surprisingly well in the surrounding riverside parkland and walking paths next to the river (Calatrava is one of my fave architects; this is a classic example of his bridges, but easier to explore close up than most others). The bridge was controversial when first proposed, but it’s very quickly become one of the civic symbols of Redding, appearing on signs and logos around town and further afield. You can just wander across and around the bridge itself, or also walk along the paths next to the river — either way, it’s a pleasant hour or two’s diversion from the long drive home, and the architecture is worth it if you ask me. It’s easy to get there (take the Highway 44 West exit from Interstate 5 north or south (exits 678) towards downtown Redding, then make a left turn towards Turtle Bay Exploration Park on Sundial Bridge Drive after you cross the river, and head towards the Exploration Park rather than the Civic Auditorium. Parking is usually easy. It’s kind of obvious how to get to the bridge from that point; there are also a bunch of river walks and trails leading to and from the bridge that are very pleasant to stroll along. You used to be able to get food at the visitor center there, but I’m not sure that’s true any more. There are public toilets at the center, but they’re not always open. Shasta dam is one of the signature bits of Big Infrastructure in California from the 1940’s, and it’s where a lot of Southern California’s water comes from (yes, L.A. is a long way from here, but that’s how California works…). The dam’s not for everyone, but it’s big and accessible, and has some nice views of Shasta Lake and Mt Shasta itself (with places for picnics, etc. ), and it’s also pretty good at giving you some idea of how California used to think of itself in the mid-twentieth century. Plus it’s an interesting bit of engineering (and I’m an engineer). The visitor center is a bit hokey, but definitely still worth visiting; otherwise, just walk across and around the dam, and / or do the guided tour inside the dam itself (it’s worth it if you ask me…). 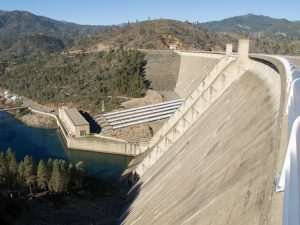 Getting to the dam is fairly easy: exit Interstate 5 (north or south) at Exit 685, and follow Shasta Dam Boulevard west all the way to the dam (just follow the signs…). Parking is easy in the huge parking lot there. Lake Shasta Caverns are a nice set of caves above the shores of Lake Shasta that you can walk through on guided tours. This isn’t for everyone — it can take a bit of effort (climbing and descending walkways hewn from rock inside the caves, etc. 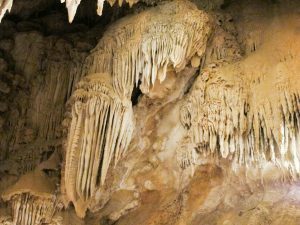 ), and some people don’t like being underground for an hour, and it’s not quite the spectacular display of (say) the Jenolan Caves — but it’s a fun, interesting, and educational diversion if you’ve got the time. Unfortunately, you can’t just drive to the caves and walk in — you have to park at the main visitor center, then walk to a ferry, then take the ferry, then take a bus for a short distance, to get to the cave entrances. I think it’s worth it — and my little six- and nine-year-old nephews enjoyed it a lot as well — but it’s logistically harder to do than either Sundial Bridge or Shasta Dam, and unlike the other two, it’s not free. You drive to the main visitor center by taking the O’Brien Road / Shasta Caverns Road exit from Interstate 5 (Exit 695), and head east on Shasta Caverns Road until you get to the visitor center.